I’ve loved Carter’s books since before I started blogging, when I didn’t really know what I was picking up. I’d go into a bookshop and pick up anything I liked the look of with no preconceptions or presumptions. I didn’t know of the hype surrounding these books until I started seeing them pop up wherever I went and then, when I finally became a part of the blogosphere, I realised that these books have a special quality that people gobble up in handfuls. United We Spy is the last book in the Gallagher Girls series and I was very worried about reading it beforehand. How could I say goodbye to this series that I have loved so dearly? The events of the last book meant that I knew this was bound to be dramatic, but I’d forgotten just how action-packed these books are. In United We Spy, we see the familiar array of characters embark on their last semester at the Gallagher Academy, which, I must tell you, made me feel very nostalgic! It seems like yesterday I was reading my way through the first book, and then the second and third and fourth and fifth. I felt all the emotions when reading this. Even after finishing, I’m still clinging on to the world fiercely. It’s definitely not a series I’m going to forget in a hurry. Cammie still had to overcome the issues that she was left to face after the events of the last book and we see her develop even more in this one. She has to deal with some really hard stuff and is thrown into lots of difficult situations but it seems like she always comes out stronger. I really loved seeing Bex, Liz and Macey again. Liz was as nerdy as ever but also has to face her own demons, as do Bex and Macey. The girls are all so loyal to each other which is very admirable. I’d love to be friends with them! United We Spy was a brilliant conclusion to a much-loved series and I’m so sad that I won’t be anticipating another book in this series any more. At least we have the Heist Society novels to keep us busy! I seriously need to get into this series. I’ve only read the first one and I vaguely remember what happens. (I’ll have to look at a full synopsis) I didn’t find it overly amazing but a lot of people have told me that the series gets better. Yay I’m so glad that United We Spy was a good conclusion because I have so much love for this series. I’ll be really sad to see it come to a end, all the characters feel so dear to me. I love this series because it’s action packed, entertaining, filled with girl power and is basically the ultimate spy story. I’m hoping to enjoy Heist Society as much and fingers crossed they might ease the pain once I finished Gallagher Girl. Great Review Lucy! Sunny A recently posted…2 Diva’s Bookish Discussion (5): What makes a good? I had to skim your review as I haven’t read this series yet but I hear Ally Carter is the best at fun mysteries! Can’t wait to start one. I’m really glad that you enjoyed this Lucy, it’s always really hard when a series you’ve enjoyed for so long finally comes to an end. I’ve only read the first book in this series and unfortunately I didn’t enjoy it as much as I’d hoped. But I’m glad that you thoroughly enjoyed this. And yes I’m totally up for more Heist Society books. Lovely review! Ahh I’m thinking I should probably read this series soon, shouldn’t I? 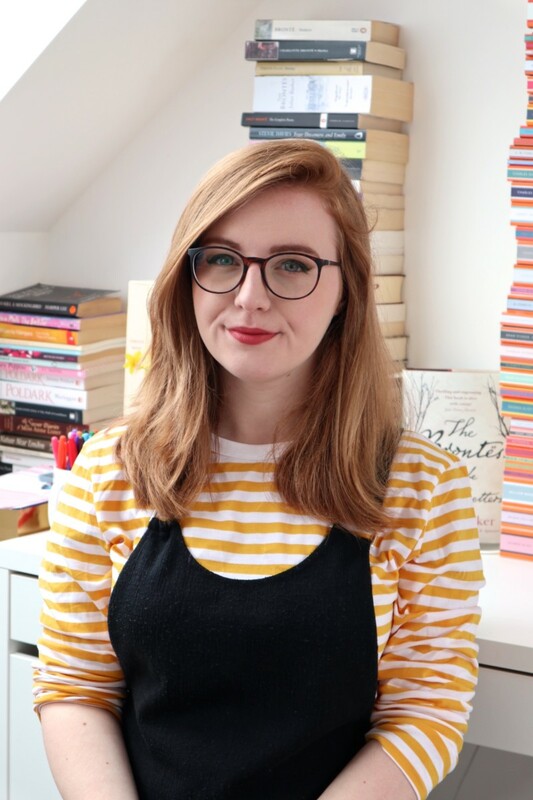 I definitely know what you mean, I read the Gallagher Girl books way before blogging so it definitely brings back some memories thinking about them and getting to read them. I’m glad that this one was such a great conclusion, getting to see Cammie and all of her friends again must’ve definitely been such an amazing experience! I’m glad you found United We Spy action-packed too.